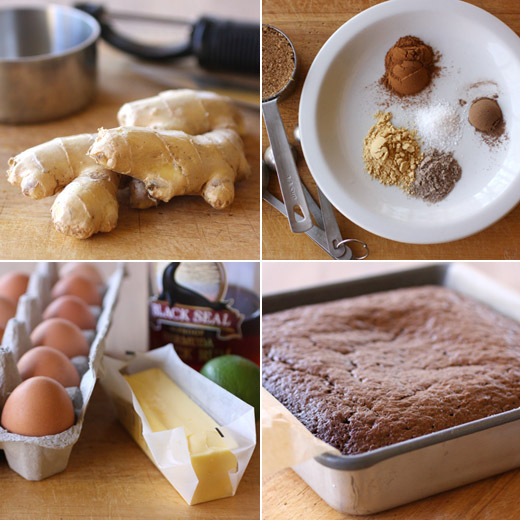 i have become obsessed with gingerbread - this sounds like a super delicious take on it, i really need to give it a go! Wonderfully spicy and moist! A real beauty. The cake looks moist and delicious!Love the flavors,Lisa! With fresh ginger I imagine the flavour would be quite striking. This is so cool! I love ginger and I love dark and stormys. Fabulous cake. When I saw the recipe title, I was wondering whether the gingerbread was named after the cocktail (which indeed it was) or that opening for overwritten, often Gothic tales ("it was a dark and stormy night . . .). ;-) I love gingerbread and am mighty fan of Gosling's too, so putting the two together is a great match in my book. Good stuff - thanks. OMG. Rum with the mascarpone whipped cream. That is brilliant. I have to remember this adult gingerbread cake. It would be great for some of my catering gigs. 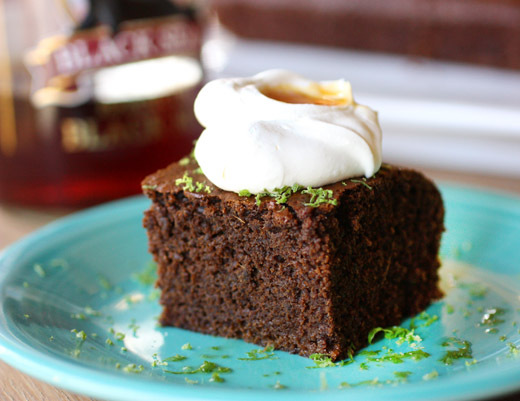 The mascarpone cream topping with rum makes this gingerbread really special. YUM. There is not one thing I don't like about this recipe. This does look delicious and would be wonderfully comforting on a cold day, although it seems we're having Bermuda style weather every day lately. The dark cake looks great on your pretty teal plate! Love the combo & title!! The dark & stormy drew me in since I enjoy that drink. lime zest, eh? i'd call that a great touch. the crumb on this gingerbread looks perfect, lisa--i like this rendition very much! This is truly Sinfully Delicious! Loving the flavors here ginger, molasses must have taken this cake on the top... Rich n dense.. as it should be.. I've never had gingerbread and I swoon over your pictures of the dark moist cake. I can't wait to try it for myself. Love the dark and stormy part! I'm tempted, but still am going to hang in there with Maida Heatter's Moosebread gingerbread. Our favorite. And we DO serve it with a sour lemony sauce. I have been thinking of gingerbread and cake lately, especially since I missed making gingerbread cookies for Xmas! I saw a French chef peel ginger with a teaspoon and I have adopted this technique ever since, just hold it neat the ginger and scrape the skin with the tip of the spoon. Great clics as always. You know Lisa, I had never taken gingerbread so seriously before until I stopped by your blog. This looks so stunning and something I am craving for right now! This looks amazing. I love gingerbread, and just made some last week to all my family's delight. 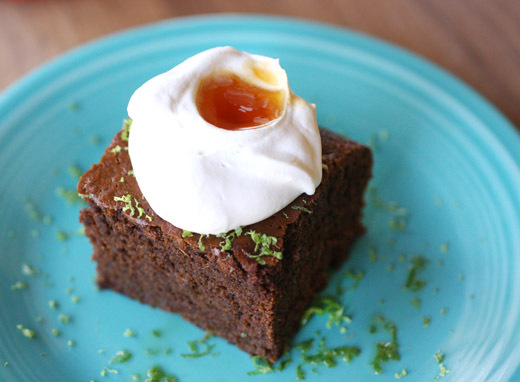 Gingerbread is truly a wonderful winter dessert! Such a pretty plate of dessert. I was out with some friends the other night and a bunch of people ordered dark and stormy's. I had never even heard of that drink! I think I would prefer it in dessert form. Randy loves gingerbread and I haven't made it yet this year! Oooh it looks like I have another dessert book to buy! I love books that offer delicious cakes that are simple to make. Thanks for sharing. This gingerbread looks heavenly!